BACKGROUND AND OBJECTIVE Elite swimming and boxing require athletes to achieve relatively high minute ventilation. The combination of a sustained high ventilation and provocative training environment may impact the susceptibility of athletes to exercise-induced bronchoconstriction (EIB). The purpose of this study was to evaluate the prevalence of EIB in elite Great British (GB) boxers and swimmers. METHODS Boxers (n?=?38, mean age: 22.1?±?3.1?years) and swimmers (n?=?44, mean age: 21.1?±?2.6?years) volunteered for the study. Athletes completed an exercise-induced respiratory symptom questionnaire, baseline assessment of fraction of exhaled nitric oxide (FeNO), maximal spirometry manoeuvres and a eucapnic voluntary hyperpnoea (EVH) challenge. EIB was confirmed if forced expiratory volume in 1?s (FEV1 ) reduced by ?10% from baseline at two time points post-EVH challenge. RESULTS The prevalence of EIB was greater in elite swimmers (30 of 44; 68%) than in boxers (3 of 38; 8%) (P?<?0.001). 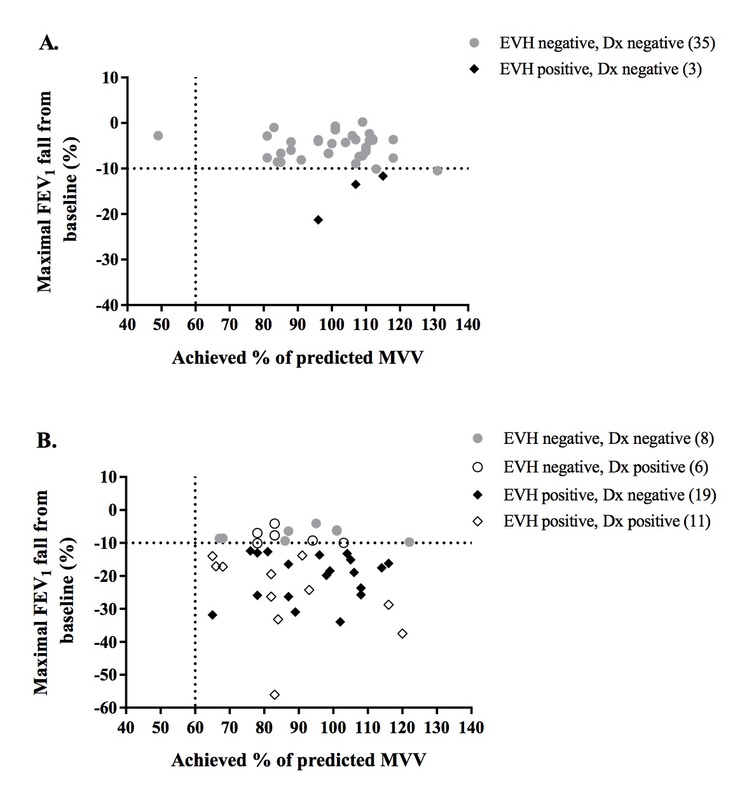 Twenty-two out of the 33 (67%) EVH-positive athletes had no prior diagnosis of asthma/EIB. 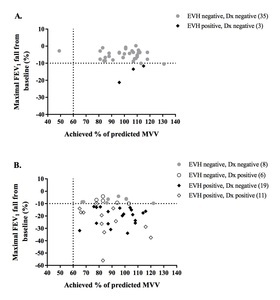 Moreover, 12% (6 of 49) of the EVH-negative athletes had a previous diagnosis of asthma/EIB. 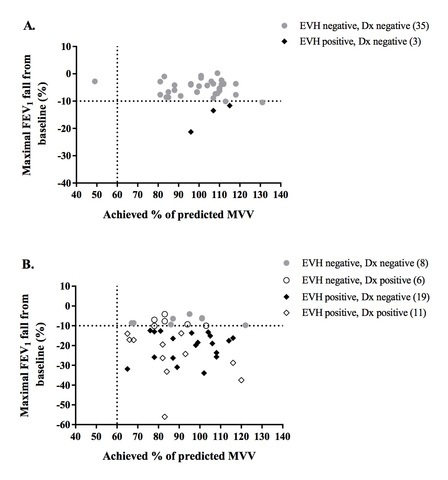 We found a correlation between FeNO and FEV1 change in lung function post-EVH challenge in swimmers (r?=?0.32; P?=?0.04) but not in boxers (r?=?0.24; P?=?0.15). CONCLUSION The prevalence of EIB was ninefold greater in swimmers when compared with boxers. Athletes who train and compete in provocative environments at sustained high ventilation may have an increased susceptibility to EIB. It is not entirely clear whether increased susceptibility to EIB affects elite sporting performance and long-term airway health in elite athletes.